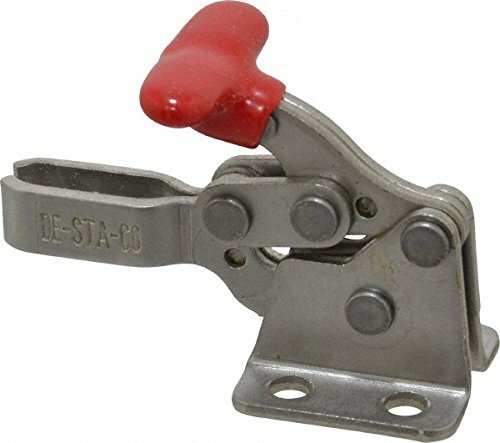 These low silhouette hold-down clamps feature an unusual handle that can be operated from either side or behind. These small compact units provide considerable holding capacity in a small package size. All models provided with red vinyl handle grip and flanged washers. If you have any questions about this product by De-Sta-Co, contact us by completing and submitting the form below. If you are looking for a specif part number, please include it with your message.